A new season brings new safety precautions to consider as daylight quickly turns to dusk and temperatures begin to drop. With school routines and activity schedules in full swing, Master Lock is reminding families and consumers to fall back into safety without falling victim to vulnerabilities with helpful advice and reliable products. This lock is a California-approved firearms safety device that meets the requirements of California Penal Code Section 12088 and the regulations issued there under. Braided steel cable with 1-1/8-inch (29 mm) wide laminated steel 4-pin tumbler lock for superior strength. Virtually impossible to violate because of its hardened steel body and armored steel cups encapsulating the cable. Usable on revolvers, pistols, rifles and shotguns. If you have kids in the house, this a definite must! 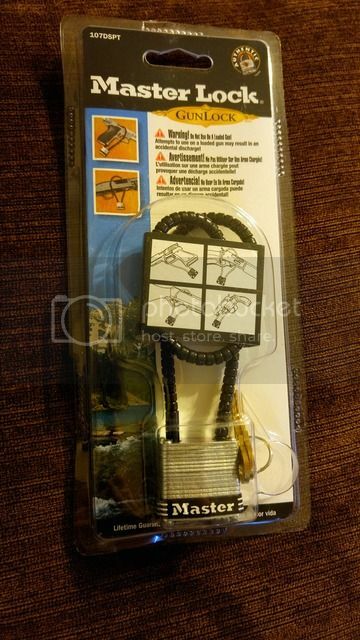 Not only can you use this lock on guns, but it is a great lock to use around the house! 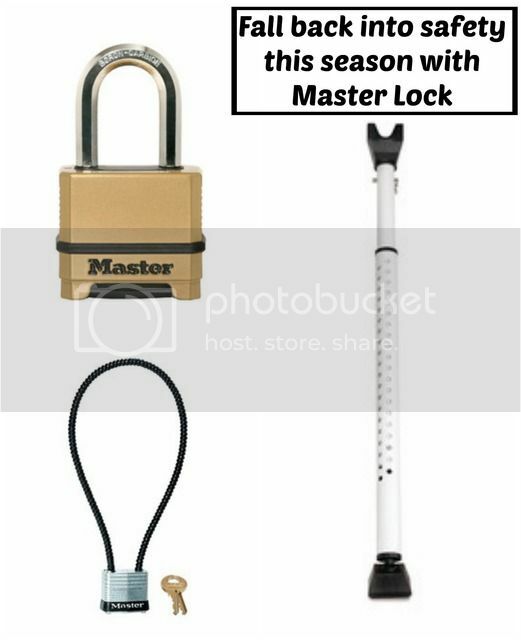 Use on a gate that needs locked, lock up an alcohol cabinet, tools and more.